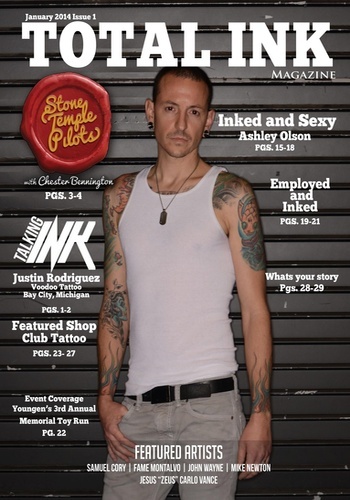 Total Ink Magazine is getting to the bare bones behind tattooing. We want to bring the artist and their life, skills, and everything that makes them shine and putting them on the spotlight for a chance. Whether you have tattoos of your own or simply appreciate the ingenuity of the art - our magazine, redesigned for mobile, provides you with a great place to appreciate the magic, one page at a time.